Jean Rutter Warner, 96, Topeka, passed away Tuesday, March 19, 2019. She was born November 6, 1922, in Topeka, Kansas, the daughter of William and Vivian Herron Rutter. She graduated from Topeka High School and earned a Bachelor's Degree in Mathematics from Washburn University. Mrs. Warner was a member of Kappa Alpha Theta Sorority and PEO Chapter AJ. 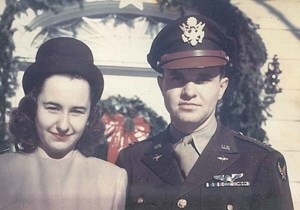 Jean married James Dewey Warner on December 20, 1945 in Topeka. He preceded her in death on July 3, 1993. She was also preceded in death by a grandson, Scott Michael Warner and sister, Martha Johnson. Jean is survived by her daughter, Anne Richardson and husband, Michael, Alvarado, Texas; son, Bruce Warner and wife, Sandra, Destrehan, Louisiana and two grandchildren, David and Melissa Warner. Memorial services will be 11am, Saturday, March 23, 2019 at Brewster Place Chapel. Private inurnment will be at Mount Hope Cemetery & Funeral Chapel. Memorial contributions may be made to Brewster Foundation, 1205 SW 29th St, Topeka, KS 66611. To share a memory of Jean or leave a message for her family, please click the Share Memories button above. Add your memories to the guest book of Jean Warner.